Breaker one-nine. This is huge- something I have dreamed about- and it’s finally happening: A National right-to-carry petition is getting some attention. Now all we have to do is make sure it gets enough signatures to get rolling. The way it’s worded, this could possibly mean truckers who hold a right-to-carry permit in their home state may be able to carry concealed weapons anywhere in the US- and be above local laws that place restrictions on rights to carry. Sound too good to be true? Hey, anything is possible in this great Country- even upholding the Constitution once in a while. But we need some more signatures- fast. Please, take a look at the petition (and sign it), then tell some friends. Tweet it, paste it, pin it, post it, tag it, share it, and whatever else that girl in the cellphone commercial says. Together we can make this happen. Here’s the link to the petition, just click on its very long title here- Pass enabling legislation directing ATF to develop a federal firearms business carry permit that enables citizens engaged in interstate commerce to carry concealed weapons through every state. What a lot of people don’t understand is, a trucker sitting in his truck all alone in the middle of who-knows-where is in a very vulnerable position. By law, he is in a vehicle. But from the drivers heart- he is at home- his truck is his home away from home. The laws should protect a driver in a truck the same way they protect a resident at home. I remember about 15-20 years ago hardly any state had a right-to-carry permit. Maybe two to four states had permits. But a funny thing has happened over the past 20-years or so- almost every state now has passed legislation allowing people the right to carry a concealed weapon. I wrote an article about truckers having the right to carry weapons back in 2010 when I was driving OTR and writing for Ten-Four Magazine. I carried a weapon in those days, and held an Indiana right-to-carry permit (which, by the way is not limited to concealed- you can open-carry in Indiana.) I did the research at the time, and there were 33 states that would recognize my Indiana permit. Now, only 4-years later, there are even more. So, gun rights have never been more popular. Maybe it’s because a lot of people are watching all these forensic shows on TV, so they’re seeing the reality of just how evil some people can be. I mean, what else can you do when someone with a shotgun kicks your door down? Your only chance may be a dive toward your weapon, and some cover. Truckers should be able to carry a loaded weapon. Their truck is their home and they have the right as Americans to protect themselves. Let’s get on this bandwagon and make it happen. 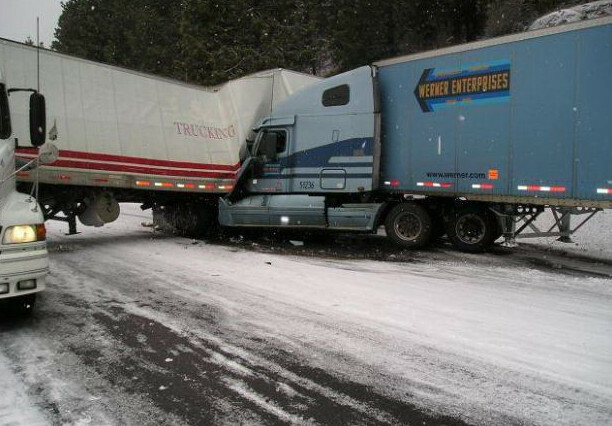 I have always wished we had a National Right to Carry for truckers. If this bill can get some traction, maybe one day we will. 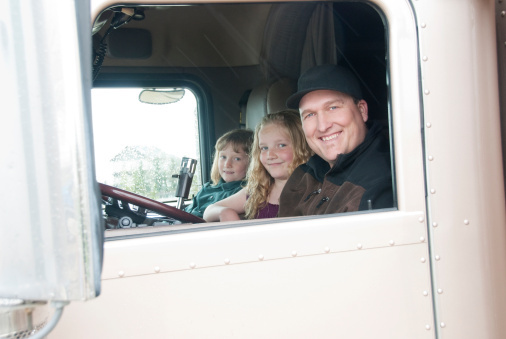 Truckers are at home in their bedroom when they are in their truck, especially in their sleeper. They deserve the same right to bear arms that any American at home has. Thanks for stopping by and commenting. I wish you the best. Im all for it if this 2nd amendment right allies to black truckers too. We already have jackasses who hog the cb air picking fights, now we add guns to it, this can get interesting. Might be kinda tough on the scale cop putting you outta service too. I dunno, but im for it!